The only thing better than Twitter... is Nigerian Twitter. It's one of the few places you'll easily forget the stress of your regular life and get lost in the sea of humour. 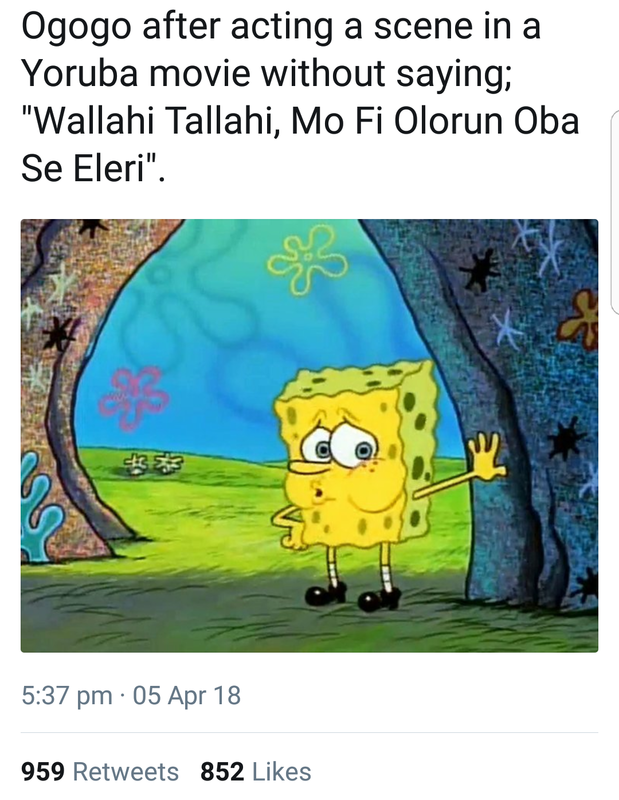 Recently, what we're loving is the Spongebob breathless meme that's somehow perfect for every scenario - from our favourite Nollywood actors' expressions to everyday issues like surviving potholes on the road!